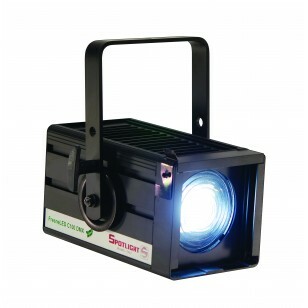 A Fresnel luminary with 100W cool white (5600K) led chips. 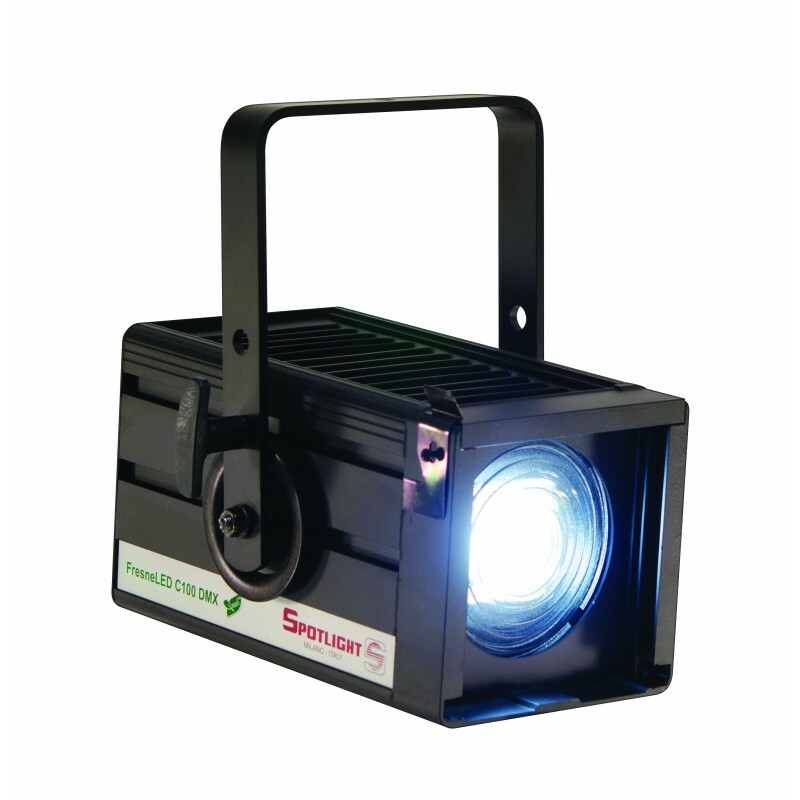 Can be successfully employed with other conventional tungsten lamps in both architectural and theaters, museums, small TV studios- where energy saving and maintenance cost reduction are important. High efficiency daylight version can be used as outdoor fill light in TV and film shots, on in conjunction with other discharge fixtures such as accent light for indoor applications.